Looking for a unique cocktail to serve at your wedding? 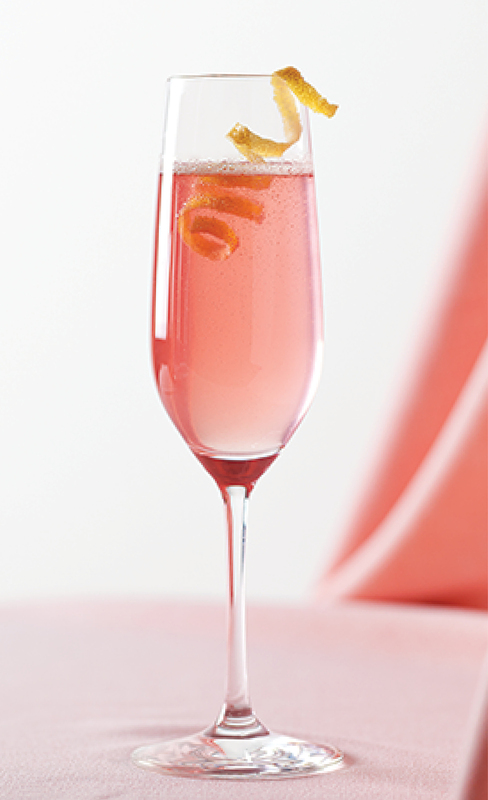 Try this rosy sparkler, dreamed up by master mixologist Jason Kilgore of Catalyst restaurant in Cambridge. By Anne Vickman·	 7/10/2012, 10:29 a.m. Using a spoon or muddler, mash the cucumber slices in the bottom of a cocktail shaker. Add ice and all other ingredients (except the champagne), cover, and shake vigorously for 15 seconds. Double strain or fine strain into a flute and top with champagne. Serves one.